This example shows you how you can set the DAC (true analog output) on pin A0. A0 is the only true analog output on the M0 boards. No other pins do true analog output! 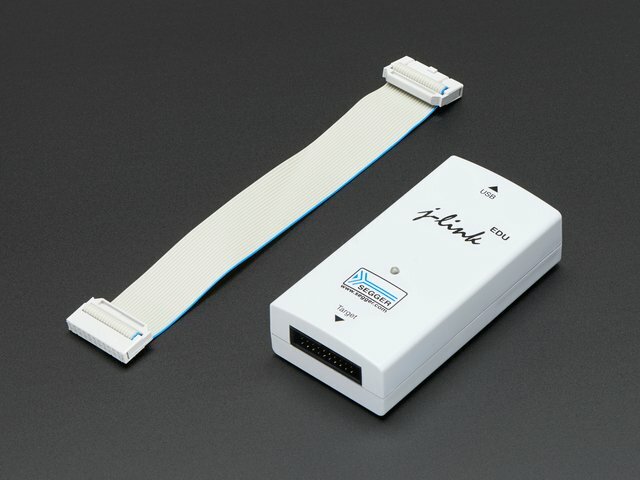 The DAC on the SAMD21 is a 10-bit output, from 0-3.3V. So in theory you will have a resolution of 0.0032 Volts per bit. 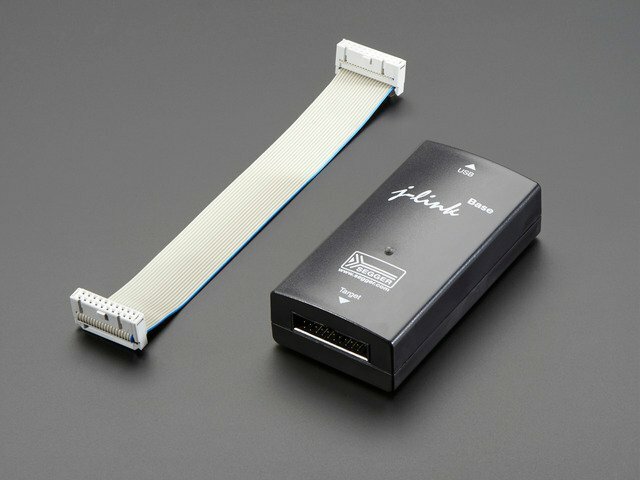 To allow CircuitPython to be general-purpose enough that it can be used with chips with anything from 8 to 16-bit DACs, the DAC takes a 16-bit value and divides it down internally. 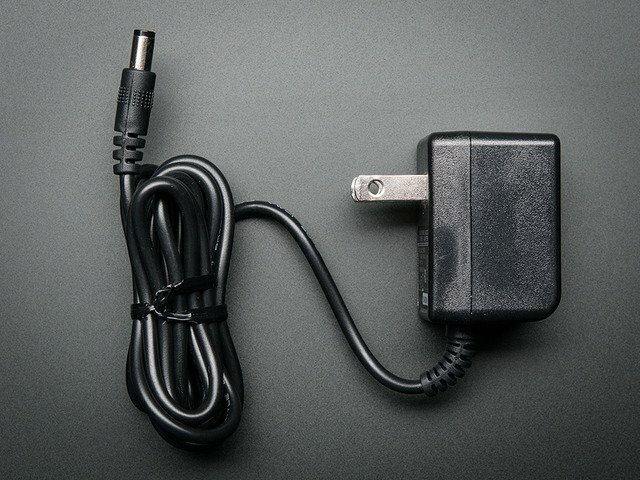 For example, writing 0 will be the same as setting it to 0 - 0 Volts out. Writing 5000 is the same as setting it to 5000 / 64 = 78, and 78 / 1024 * 3.3V = 0.25V output. The main loop is fairly simple, it goes through the entire range of the DAC, from 0 to 65535, but increments 64 at a time so it ends up clicking up one bit for each of the 10-bits of range available. CircuitPython is not terribly fast, so at the fastest update loop you'll get 4 Hz. The DAC isn't good for audio outputs as-is. 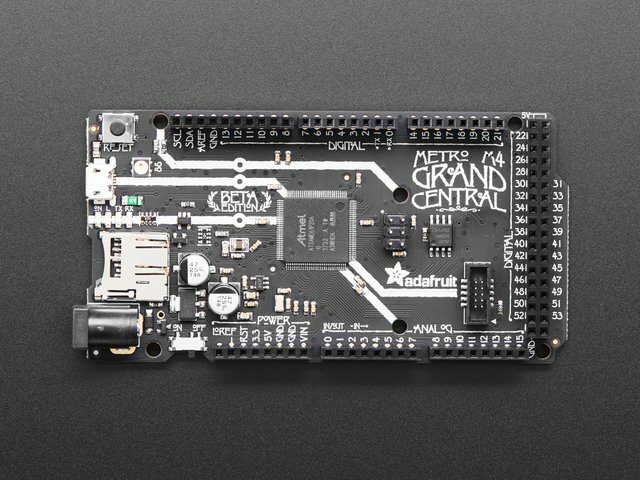 Express boards like the Circuit Playground Express, Metro M0 Express, ItsyBitsy M0 Express, ItsyBitsy M4 Express, Metro M4 Express, Feather M4 Express, or Feather M0 Express have more code space and can perform audio playback capabilities via the DAC. Gemma M0 and Trinket M0 cannot! Check out the Audio Out section of this guide for examples! Use the diagrams below to find the A0 pin marked with a magenta arrow! A0 is located between VOUT and A1 near the battery port. A0 is labeled "1~" on Trinket! A0 is located between "0" and "2" towards the middle of the board on the same side as the red LED. A0 is located in the middle of the right side of the board next to the On/Off switch. A0 is located between GND and A1 on the opposite side of the board from the battery connector, towards the end with the Reset button. 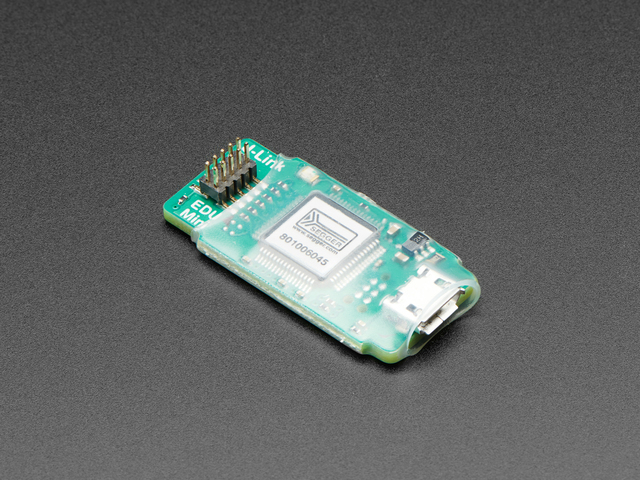 A0 is located between VHI and A1, near the "A" in "Adafruit", and the pin pad has left and right white parenthesis markings around it. A0 is located between VHI and A1, and the pin pad has left and right white parenthesis markings around it. 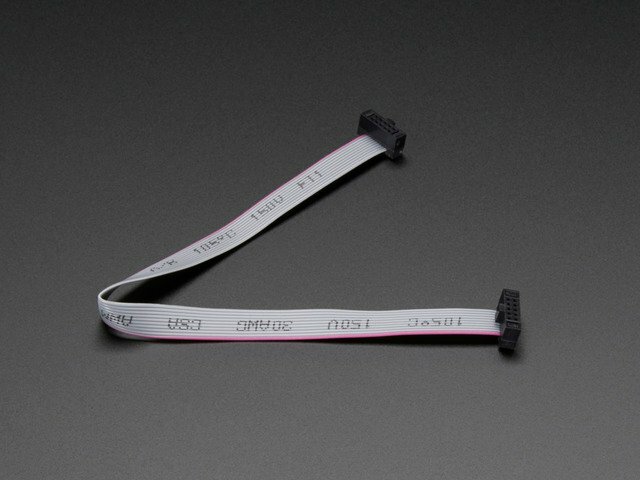 A0 is between VIN and A1, and is located along the same side of the board as the barrel jack adapter towards the middle of the headers found on that side of the board. On the Metro M4 Express, there are TWO true analog outputs: A0 and A1. This guide was first published on Jan 12, 2019. It was last updated on Jan 12, 2019. 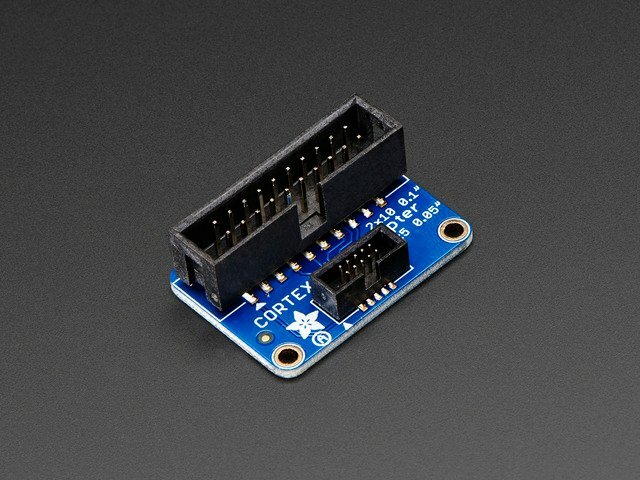 This page (CircuitPython Analog Out) was last updated on Apr 26, 2019.